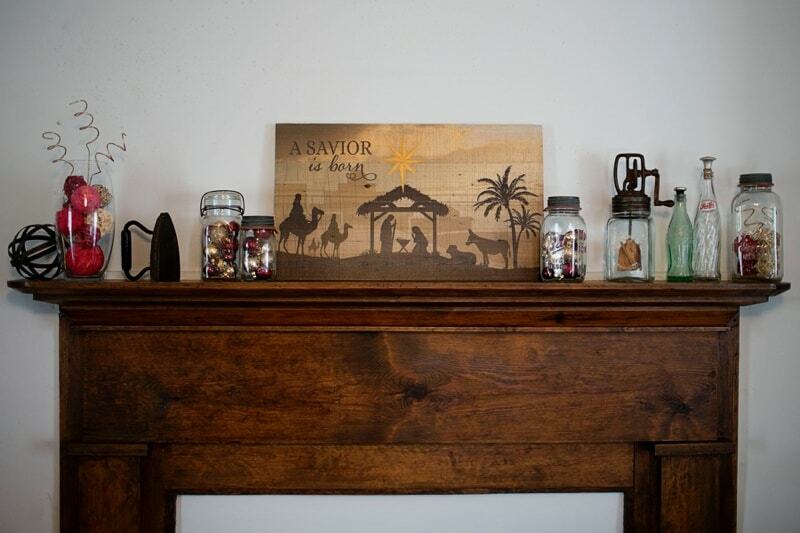 As I begin to decorate for Christmas, I really want to keep our decor simple and focused on Jesus. This year I’m being really intentional about decorating for Christmas. It’s so easy to get caught up in the stuff of Christmas and gloss over the reason for the season. I want everything Christmas to point to Jesus. From decor, to traditions, to the songs we sing and the way we talk about Christmas. Last year the Christmas season was such a struggle, this year I hope it will be better. The children are already excited about their Christmas play and I hope that excitement carries over to the entire Christmas season. However, I want that excitement to focus on Jesus, giving, and family rather than on presents. One simple way to ensure that our focus is on Christ this Christmas, is to using Christmas decor to emphasize the reason for the season. I could not wait to put this gorgeous A Savior is Born Plaque up after it arrived. I love its striking simplicity. 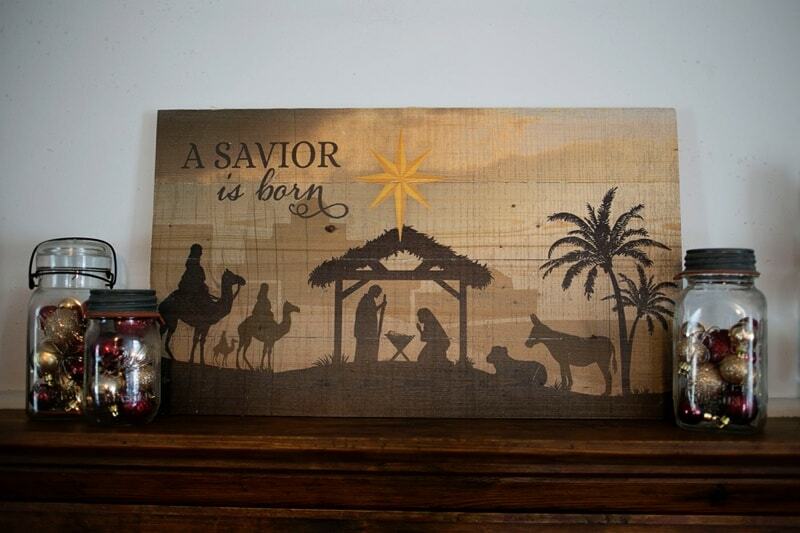 Its size is perfect to make the plaque the focal point of my ‘Reason for the Season’ Christmas mantle decor. I know it isn’t quite Thanksgiving yet, but part of Thanksgiving is being thankful for Jesus… so I went ahead and got my mantle ready for Christmas. I love the way my Christmas mantle is coming together. It makes me smile every time I walk in my room! I’d still like to add a few things to really get a full, layered look. I’d definitely like a nativity and more gold touches. 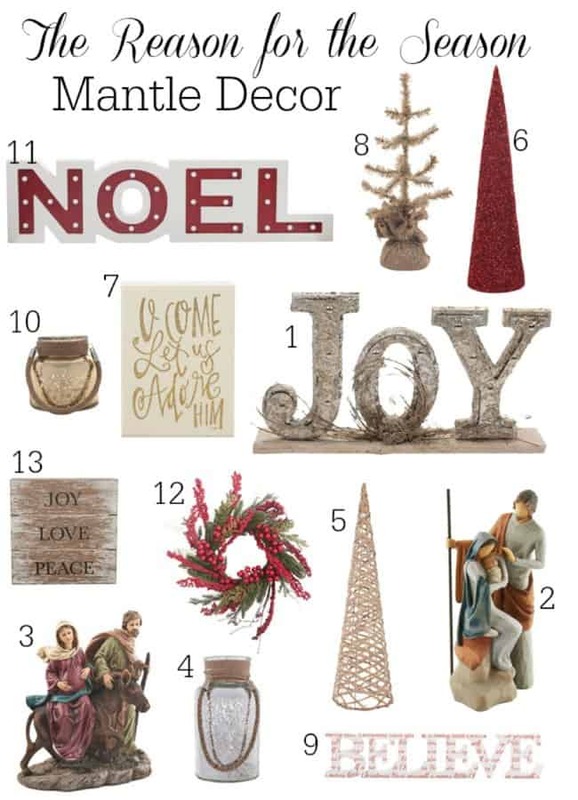 Pretty much I’d love all of Family Christian’s Christmas decor collection! I really love the simple beauty of your holiday mantle. I will have to check out a few of the additional items you suggested, love that gold lantern! Nope, we haven't started decorating yet. We are taking a trip for Thanksgiving and I can't wait to decorate when we get back!! 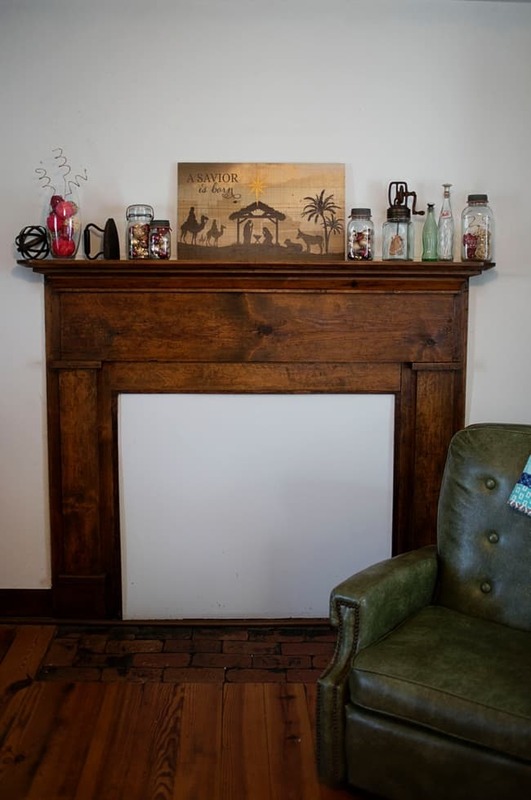 I wish I had a mantle to decorate. Those are some lovely, elegant choices.